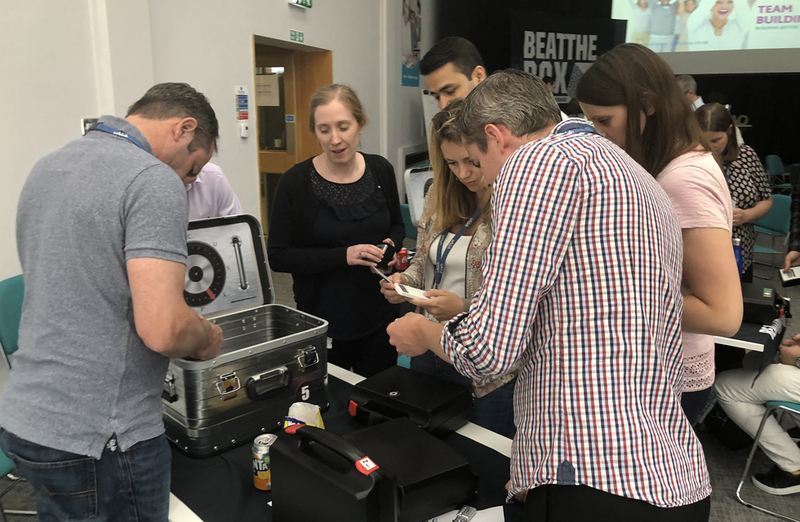 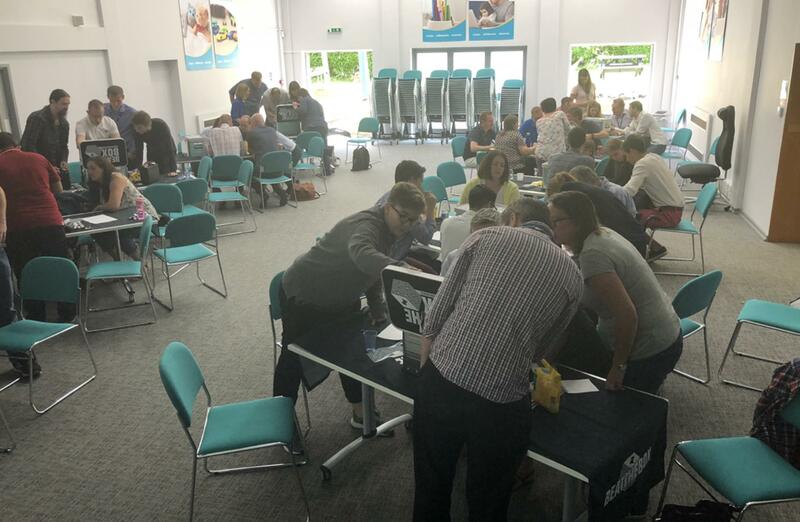 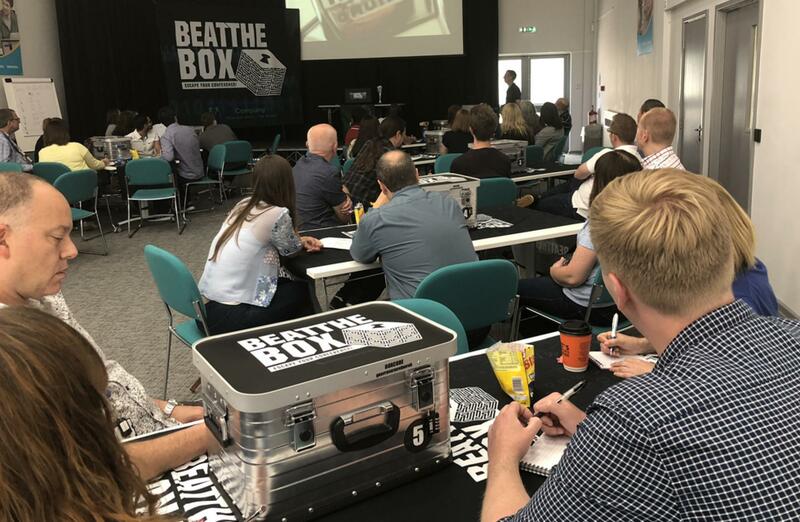 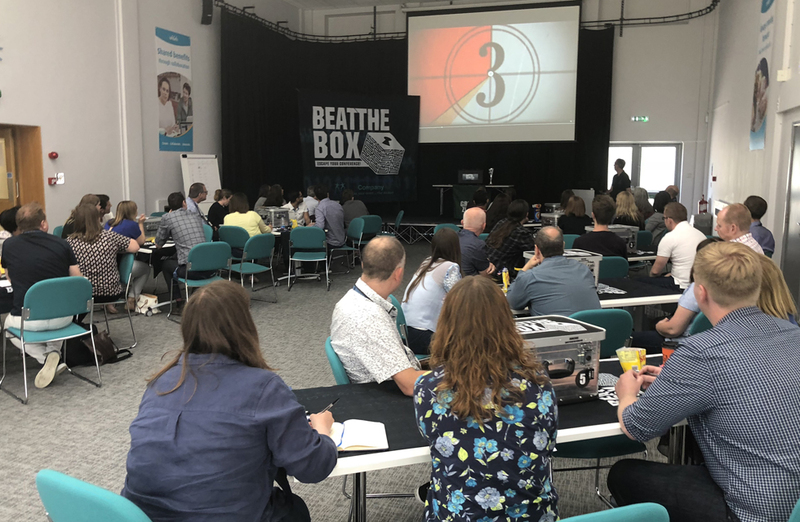 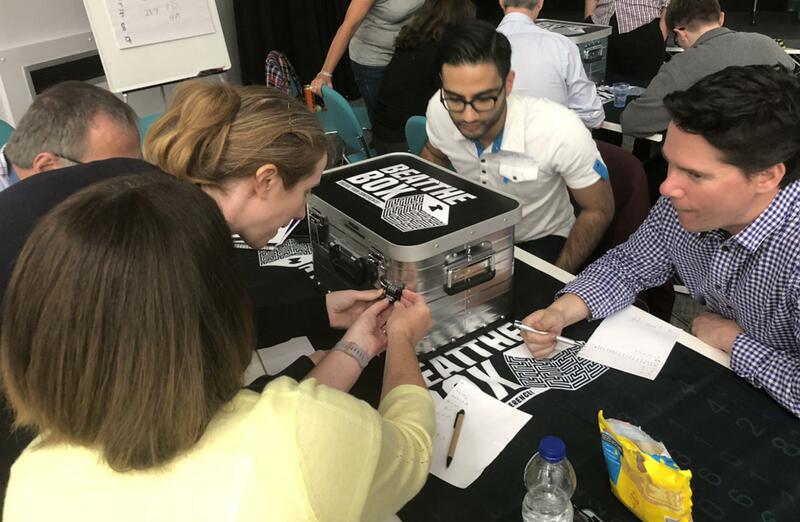 The wonderful Dorking offices of employee benefits company Unum was the location for our latest team building adventure, as around 80 delegates prepared to take on our most popular team building event of 2018 – the mighty Beat the Box! 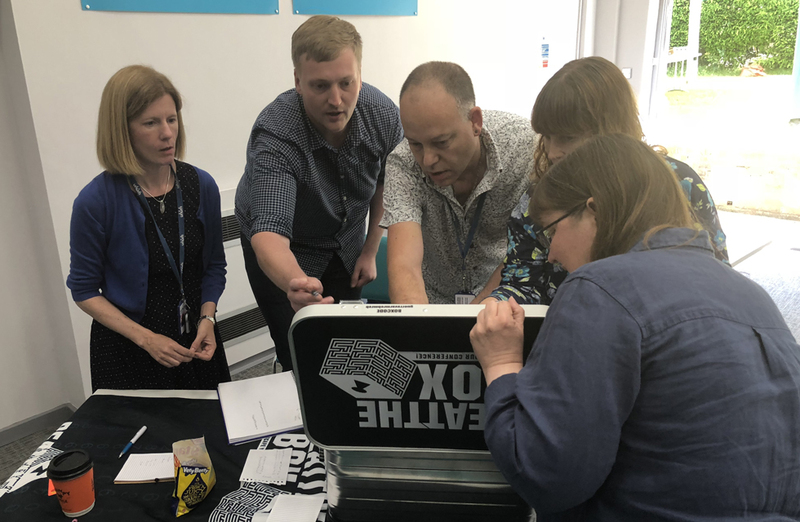 Would this Unum team have what it takes to pull on all their knowledge, skills and team work to complete their challenge and successfully Beat the Box…? 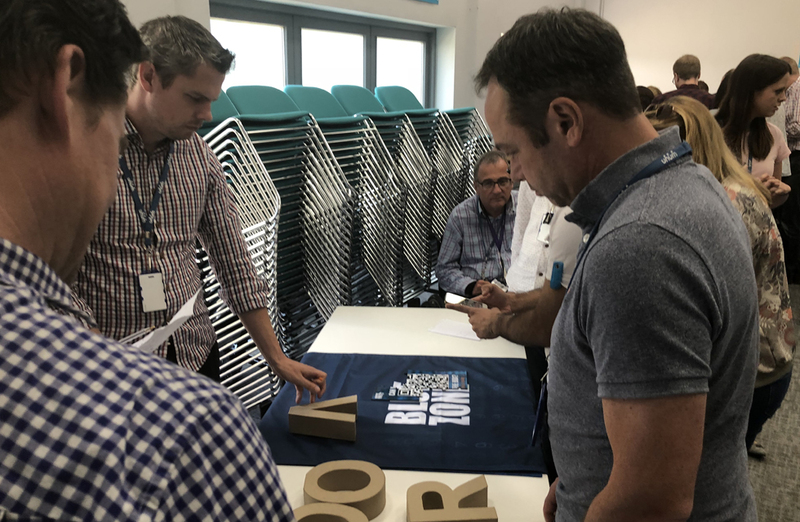 There was only one way to find out…! 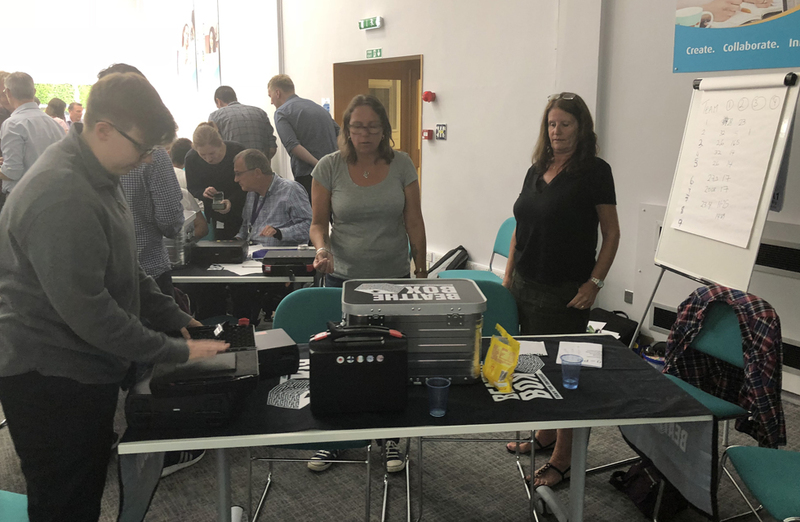 As the delegates entered the wonderful onsite conference facilities following a relaxing BBQ lunch, a sense of mystery and anticipation filled the room, as our guests were confronted by 10 locked silver cases laid out on the tables in front of them. They quickly found their team mates and relevant table placements, and settled in for the opening brief - the Unum team would need to utilise all their problem solving skills and deductive reasoning in a bid to crack the padlock that held shut their silver case! 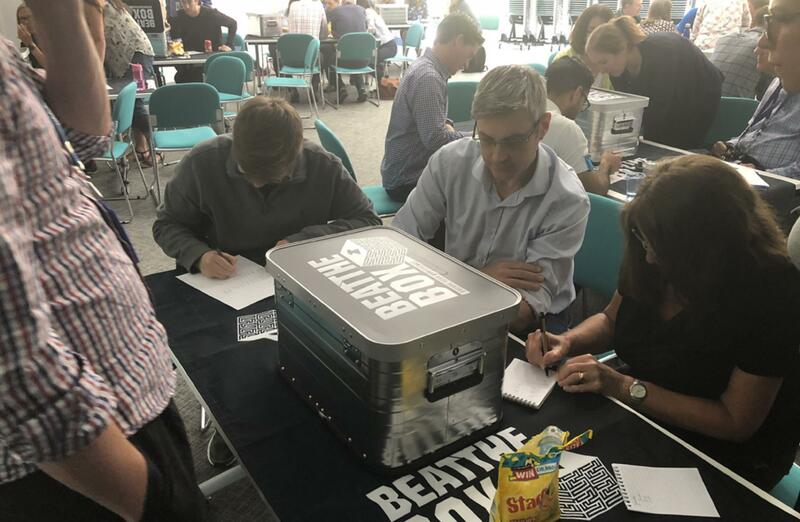 Inside that, they would find 4 more cases with padlocks that needed to crack, and inside each case they would find clues to solve the mysteries that lay ahead - each more difficult to solve than the last - until eventually they could attempt to input the final code into the locked case at the top of the room, and hopefully ‘Beat the Box’…all within the time frame of just 90 minutes! 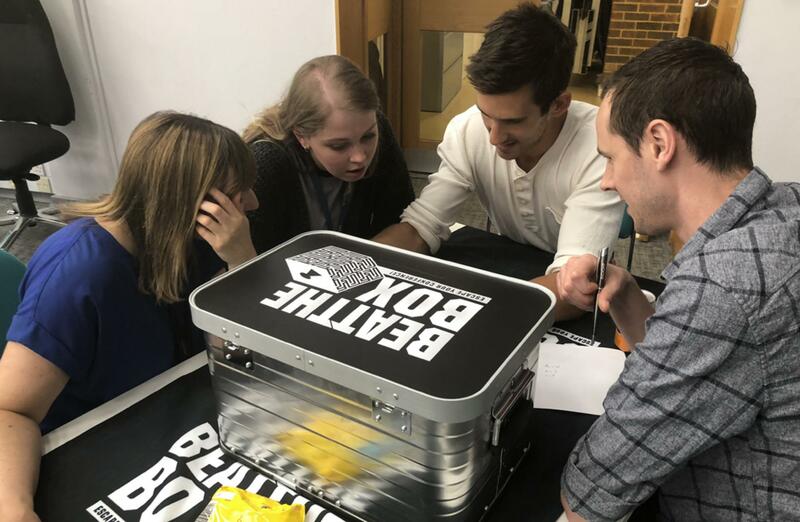 As they prepared to kick-off, a mysterious video message challenged the teams to the game, and gave them the first clues they needed to break into their silver cases…but form there, they would be on their own. 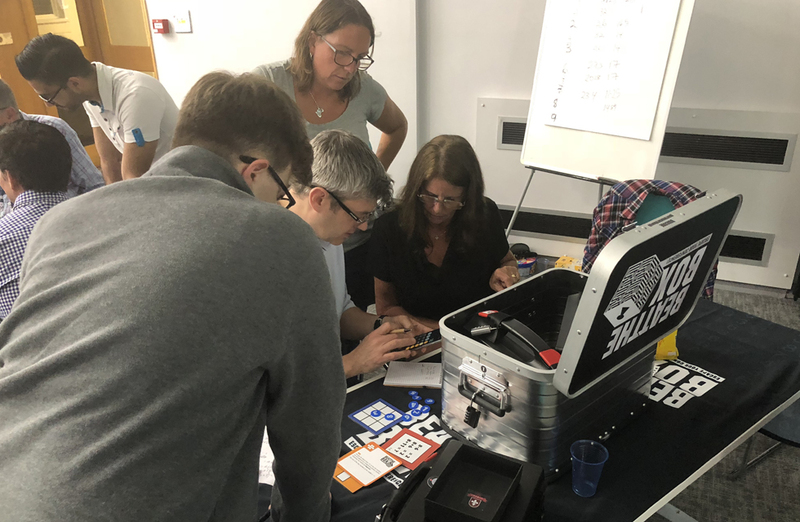 An initial sense of intrigue and mystery, and perhaps some quiet concentration in the room, quickly turned into frenzied panic as a couple of our teams broke the code on the first padlock in super-quick time, whilst others struggled a little more in the early stages. 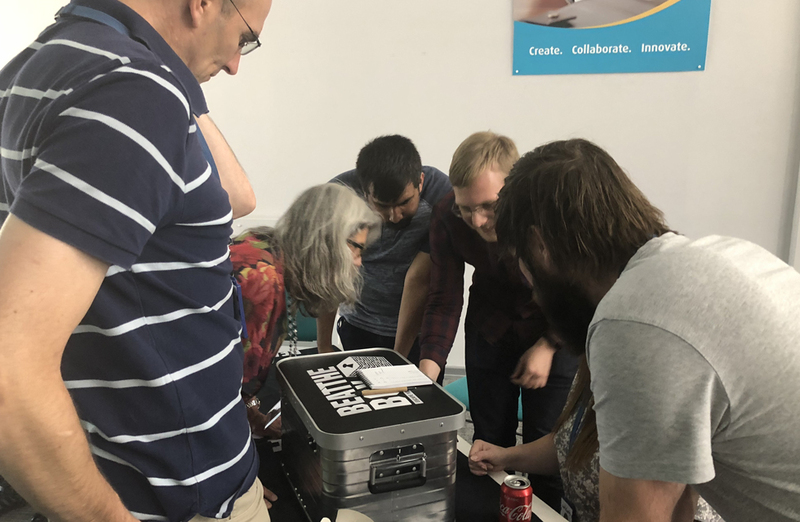 More and more cheers of delighted echoed around the room as the minutes wore on, and teams begin to not only crack into their silver cases, but into boxes 1 and 2 that lay inside. 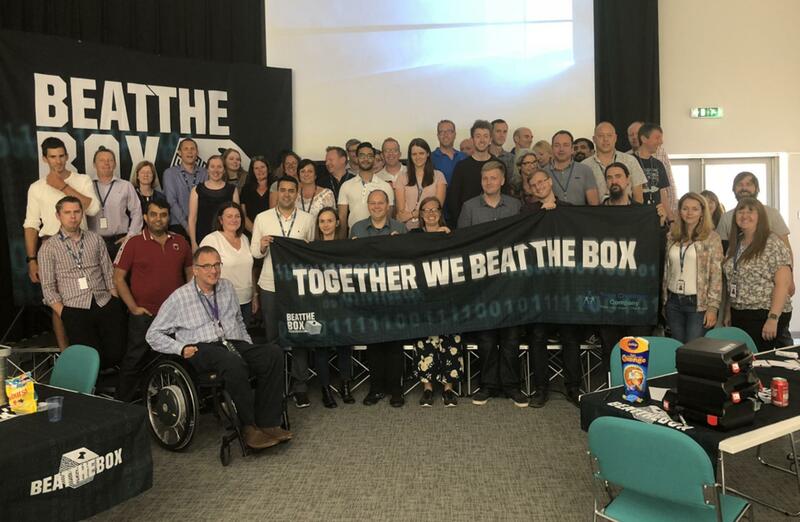 As the clock ticked by on the large screen at the top of the room, and as the tasks and challenges became even more tricky, it all of a sudden began to come clear that all the information that teams required to open their next box was not contained within their own case, but in various cases that others teams possessed around the room. 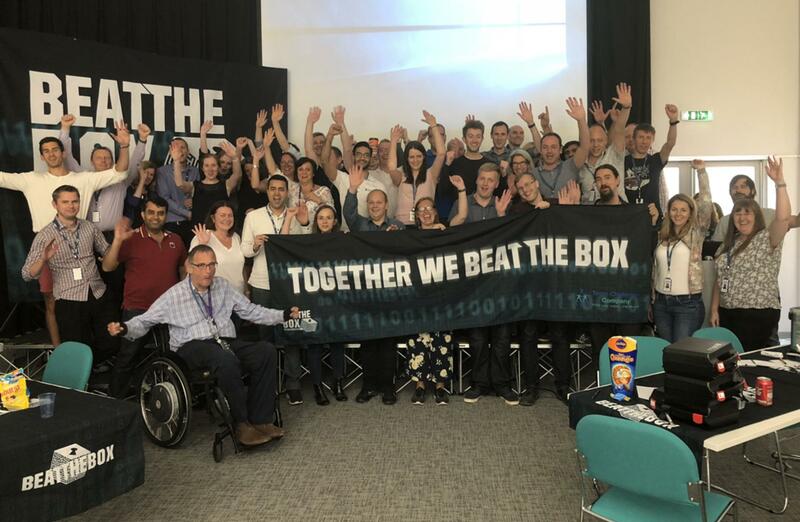 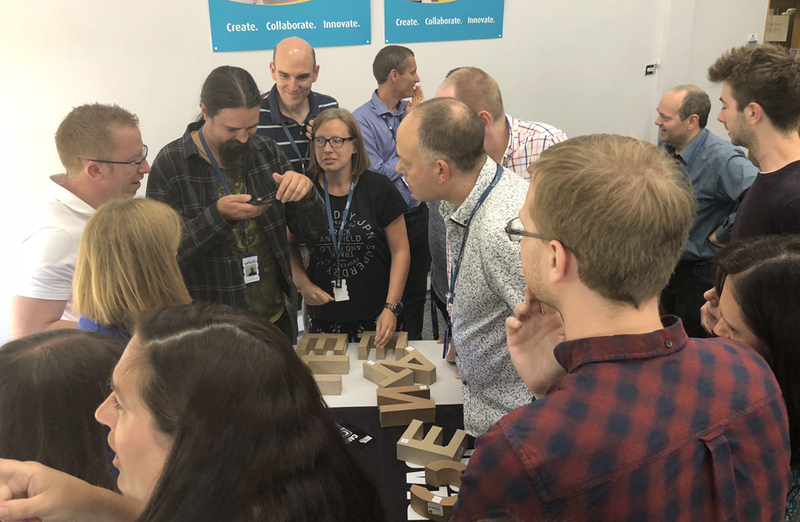 Indeed, as the final challenge drew near and boxes 3 and 4 were opened, it dawned on the 10 teams within the room that they all required to cooperate and work together if the final code was to be found, and that they could only succeed as one large, collaborative team. 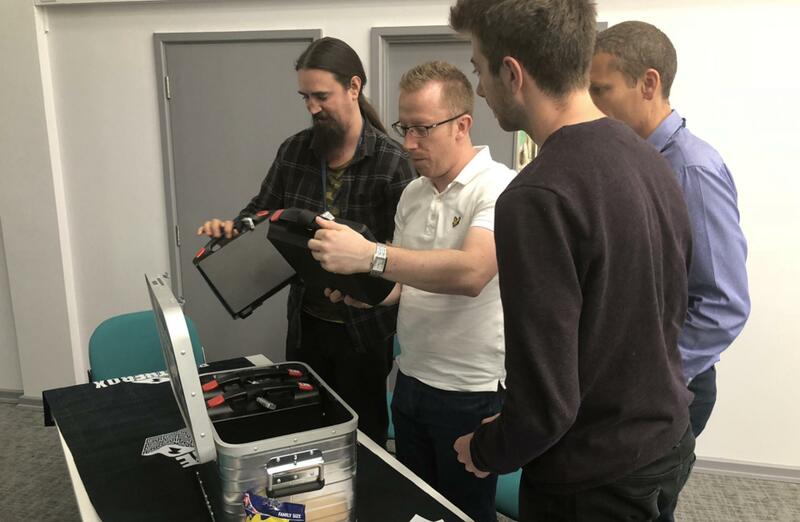 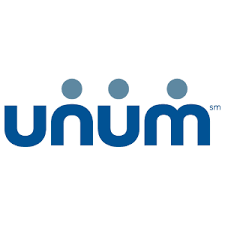 With just minutes remaining, the Unum team joined forces to crack the padlock on the case which would allow them to type in their final code, and together deciphered their Code Phrase, which was rapidly typed into the keypad in a sense of hurried expectation. 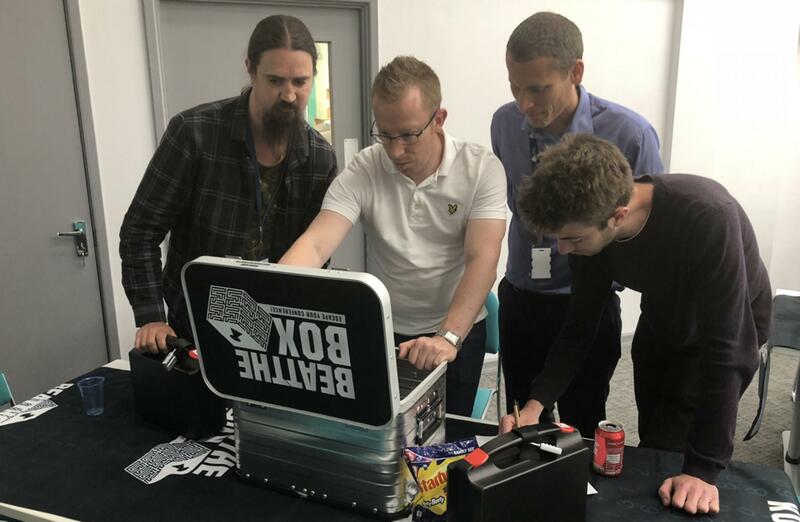 Players stood back with in a mix of anticipation and nervousness, as the Enter button was pressed, and team players looked up to the screen…which burst into colour and revealed that they had indeed found the correct code, and had, together, successfully managed to Beat the Box! Huge cheers resounded around the room as they unfurled the flag which confirmed their victory, and would provide a valuable lesson in reminding all within the business that they are all part one team, and that together they could achieve anything they set their minds to. 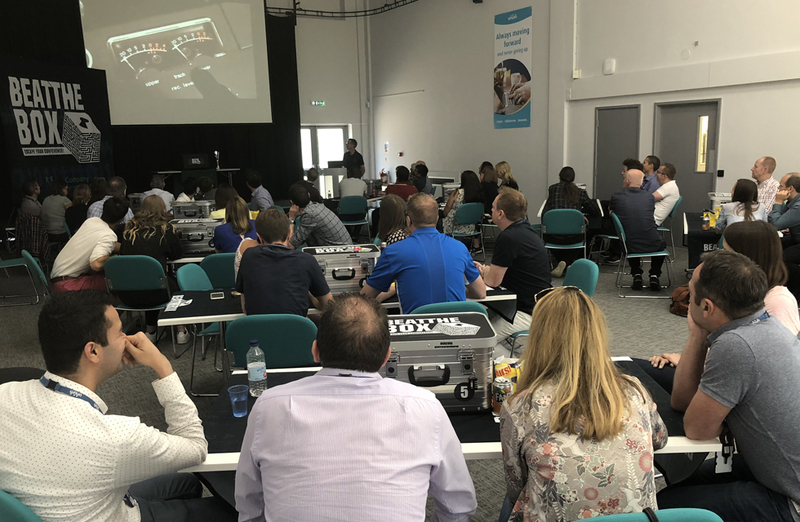 A big shout out and thank you must go to Pippa for all her hard work and wonderful efforts in organising such a fantastic afternoon of true team building for the Unum team– it was an absolute pleasure to have the opportunity to work with the entire team, and we very much look forward to seeing you all again soon in the future.